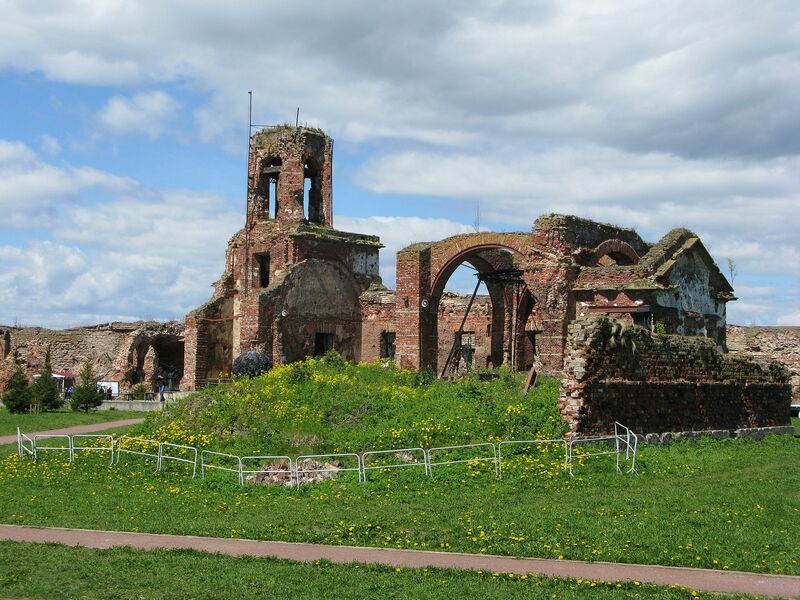 The next place we visited was the fort at Shlisselburg. The suggested place to park our two campers worked better than expected, it was still beginning of the season. Two or three busses would easily be able to fill the place. The fort can be reached by a ferry boat for a small fee. 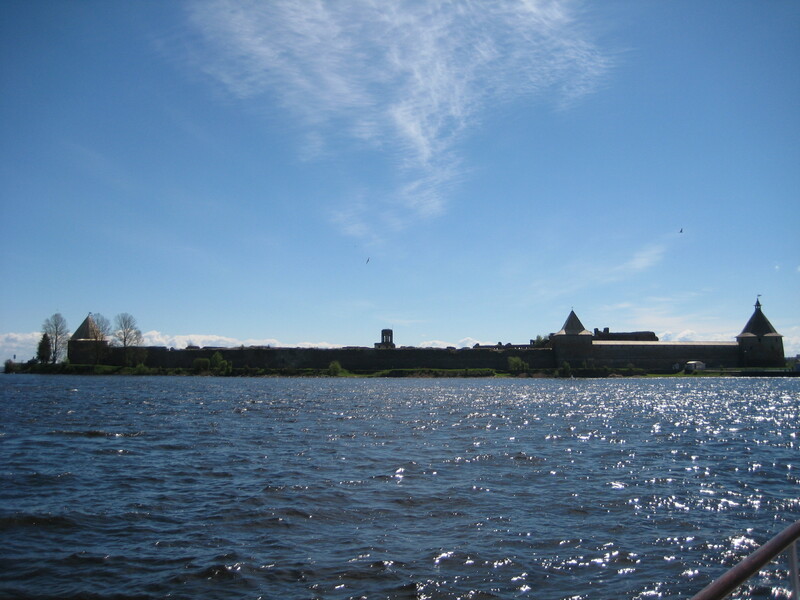 This was the first time we reached Lake Ladoga. Als nächstes besuchten wir die Festung Schlüsselburg am Ladogasee. Der vorgesehene Parkplatz für unsere beiden Ivecos funktionierte und war in unmittelbarer Nähe der Fähre zur Festung. Wenn Hochsaison ist stehen hier aber vermutlich auch Reisebusse und dann wird es recht schnell eng.